Paris in spring. How lovely. My friend visited Paris recently with her husband. I was not invited as three is a crowd! 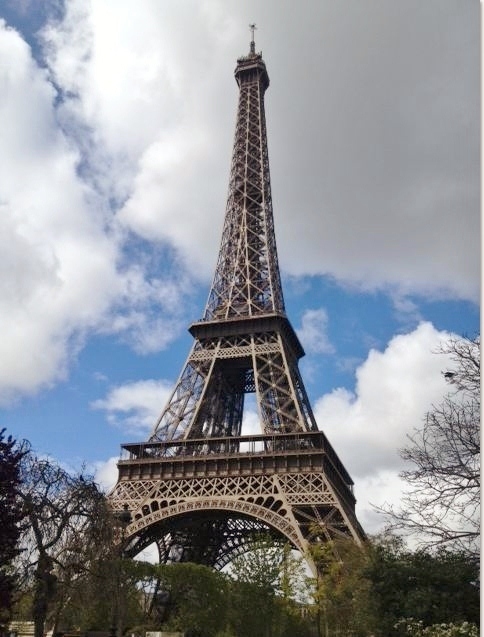 Instead each day my friend sent photos of her sightseeing adventures so in spirit I was there too traveling to all of Paris’ beautiful attractions. The wonder of technology! The gears are already in motion planning my ‘Paris in Spring’ adventure for next year. In the meantime I thought I would share some of my/her photos to showcase some sights of Paris. When one thinks of Paris the Eiffel Tower always comes to mind. 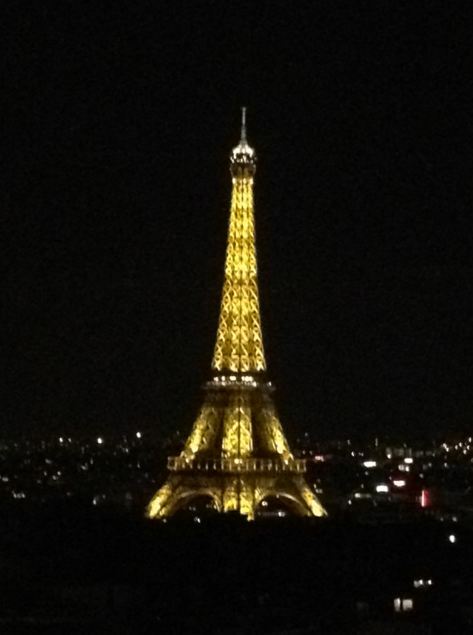 And the Eiffel Tower at night is just as beautiful. Of course a bit of culture is always on the travel agenda. 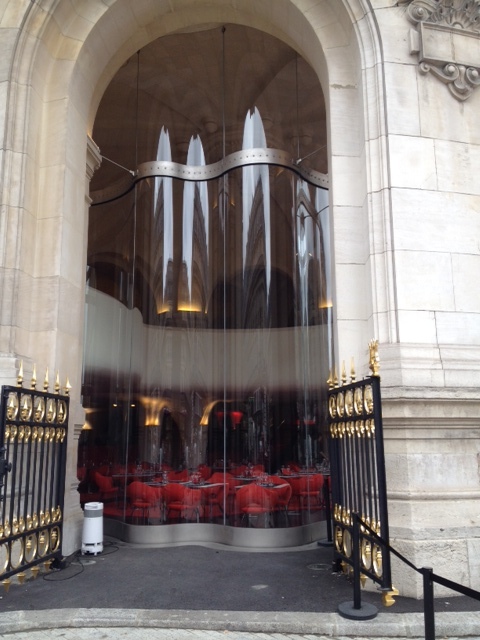 This is a photo showing the veil of undulating glass of the restaurant in the Paris Opera House – Palais Garnier; named in recognition of its opulence and its architect, Charles Garnier. One must shop in Paris. 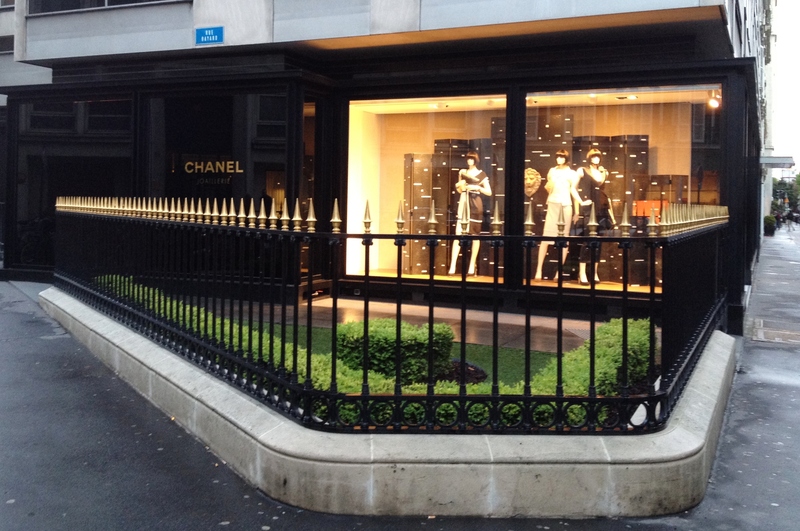 My friend knowing I would love the streetscape and window dressing of CHANEL sent this photo just for me. Quite dramatic isn’t it? My friend’s husband could not figure out why this photo was taken. When in Paris one must dine like a Parisian. Quand à Paris il faut dîner comme un Parisien. 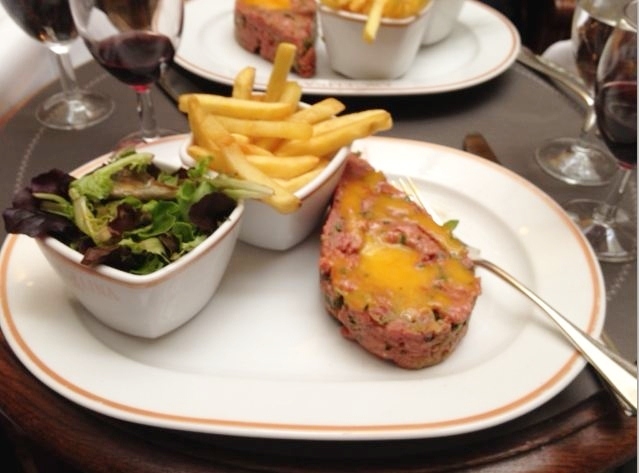 This is a photo of Steak Tartare with a raw egg in the middle!! Apparently ‘we’ scraped the plate clean! 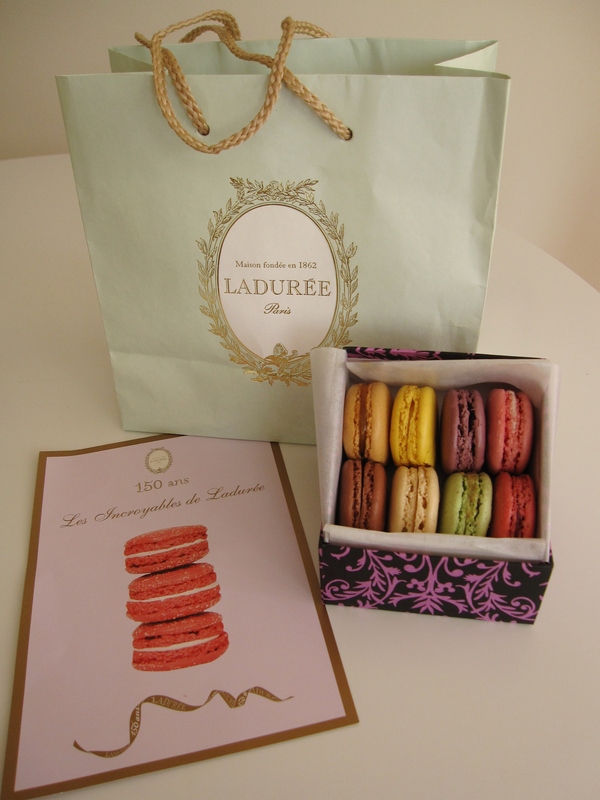 Not being able to see all the beautiful sights of Paris (in reality) my friend brought me home a ‘taste’ of Paris – French macaroons from the famous bakery Ladurée. The decoration of the original 1862 pastry shop was entrusted to Jules Cheret, a famous turn-of-the-century painter and poster artist. Cheret sought inspiration from the painting techniques used for the ceiling of the Sistine Chapel and the Garnier Opera. This entry was posted in Design, Style and tagged architecture, Art, DECOR, Design, Food, Paris, photography, sightseeing adventures, Travel, vacation by Modmissy. Bookmark the permalink. Macaroons are amazing, I’m having a bunch of them at my wedding next month! LOVE LOVE! How…..romantic! Have a fabulous day! Those cookies are so beautiful in that lovely box. There is a tear in my eye. It still blows my mind how well lit the Eiffel Tower is! It dominates both the day and nighttime cityscapes. terrific. Thank you in sharing. We hope to visit there within the 3 Years we are living in Sicily. I’ve heard great things about the romanticisms of the city…. And the allure of France continues.. Sigh! Cool blog! Beautiful pictures, it would be lovely to visit France.